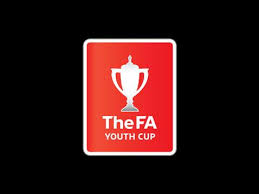 West Ham’s youth team travel to Stoke City for the start of their FA Youth Cup campaign and we would like to wish the lads all the best for the match on the 22nd November 2016. West Ham’s Under 18s currently sit second in the Southern Premier League table behind Chelsea by the difference of one goal. The youngsters had the same result as the first team away at Spurs at the weekend going down 2-1 in a well fought out match at Tottenham’s training ground. Stoke City sit 8th in their 12 team Northern Premier League and are off the back of a 2-2 home draw against Derby. The side are managed by Kevin Russell who had a long career in the English lower leagues in the 80s and 90s including playing 40 games for Stoke. Our Youth Team are looking extremely promising this season under the management of club legend Steve Potts and Mark Philips and we wish them all the best for a long and successful cup run.